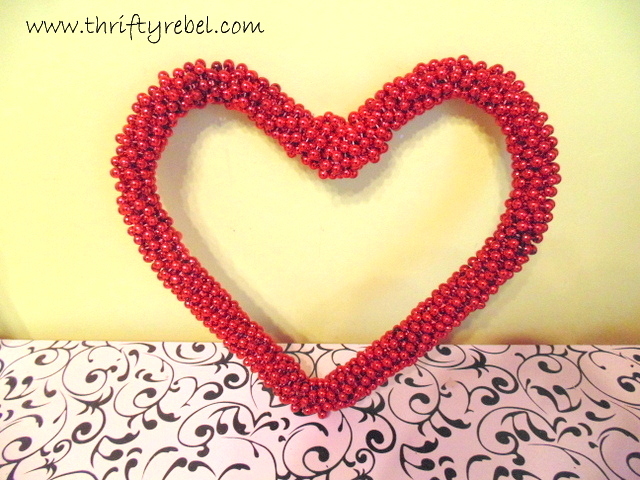 This Valentine’s Day heart wreath is very easy to make, using simple supplies that I had on hand. 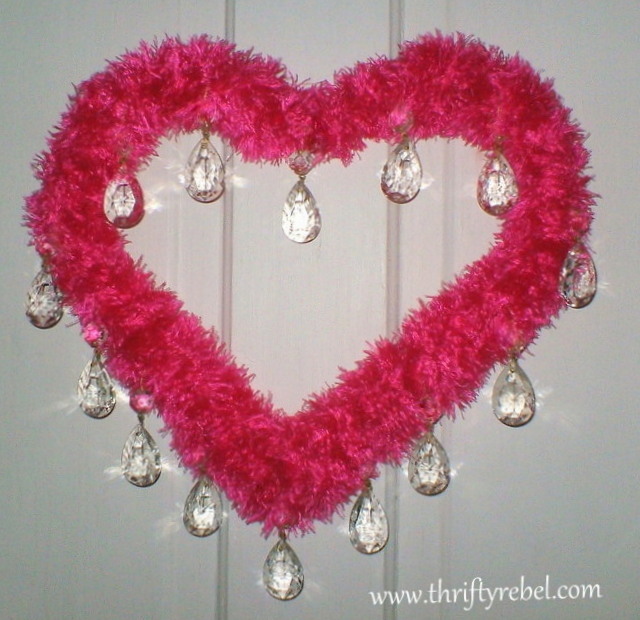 In my last post I shared my pink and sparkly wreath that I also made from a heart shaped hanger. You can see that here. 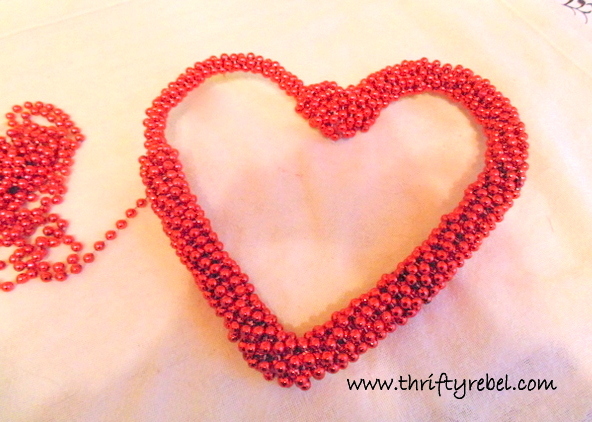 I wanted to see what else I could come up with for the same wire heart shape so I raided my Christmas decorations and found a bunch of strands of red bead garland. 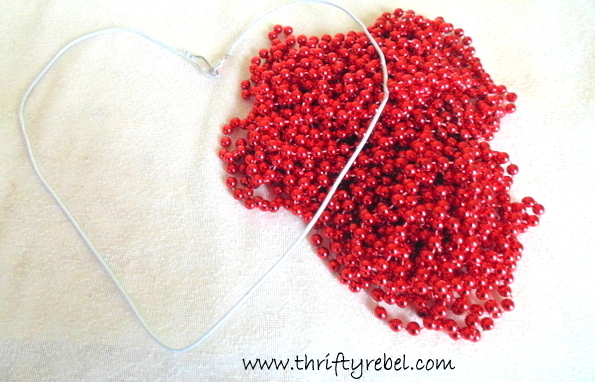 I spray painted the hanger red just in case it might be visible through the beads. 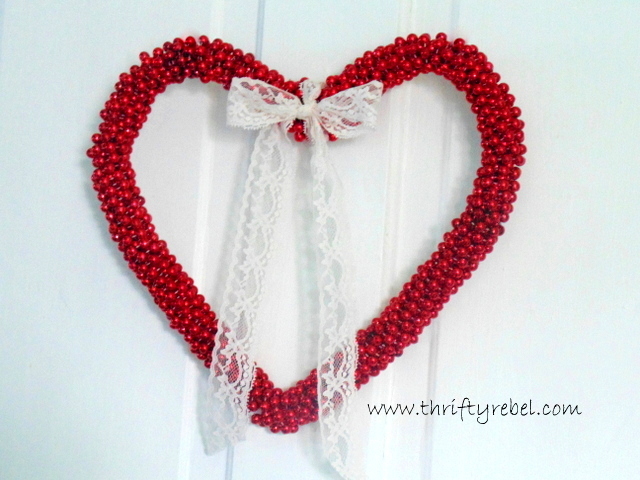 Then I simply wrapped the garland around the heart, keeping it tight as I went. I put a bit of hot glue at the beginning to hold the garland in place. Here it is after one strand of nine foot garland. Again to hold the garland in place I put a dab of hot glue at the end. And I just kept wrapping. Here it is wrapped with two nine foot garlands. 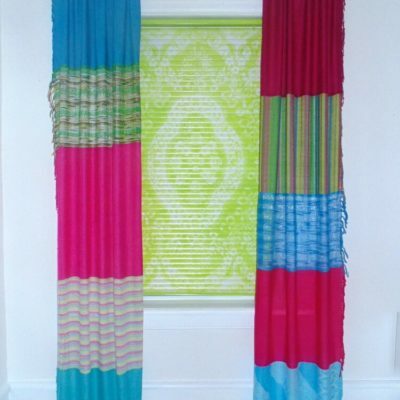 I decided that I wanted to make it wider to match the top middle section so I wrapped it with another layer using one strand of twelve foot garland. or add a simple lace bow. Welcome back, Tuula! I missed you! 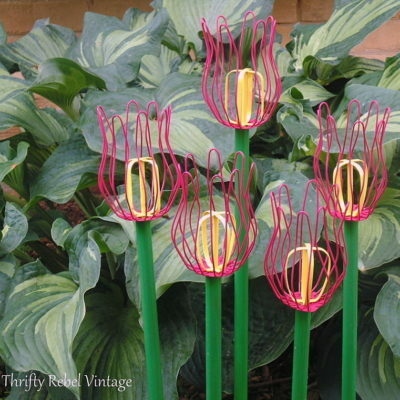 This is so beautiful and unique! Without your instructions it looks very intricate and difficult to make. I like the added lace ribbon . . . makes it very romantic, too! That is gorgeous! Gotta love the red from Christmas….it just keeps on giving! 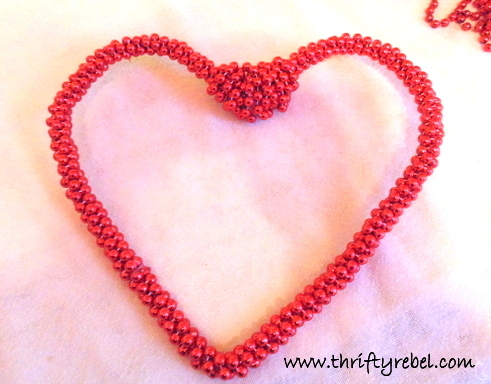 Tuula I really love that and you could change that up for so many holidays with a few wire tools. I think I want to try an egg for easter. Well of course you came back from your cruise and made a fabulous wreath!! I love it and I think the bow sets it off! 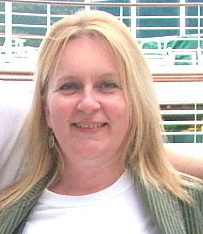 Now I want a cruise! 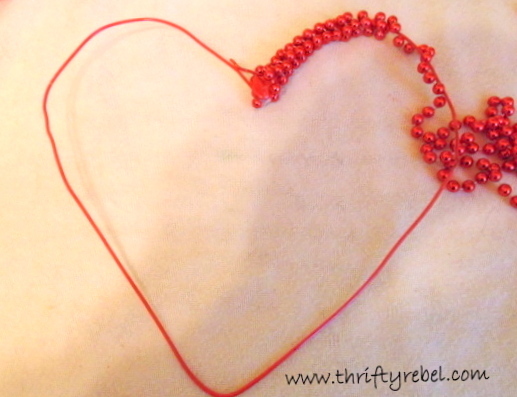 I thought at first you had strung all the beads on! 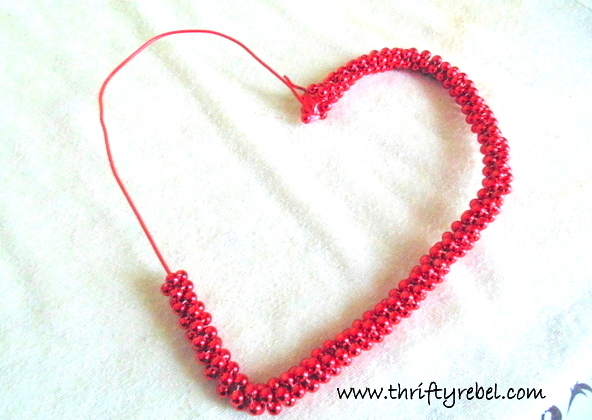 Great idea using the garland beads. Hope the cruise was fun. Our cruise got delayed till the fall – how was yours? You just went on a cruise? Lucky! This beautiful project made my heart skip a beat. Lovely.